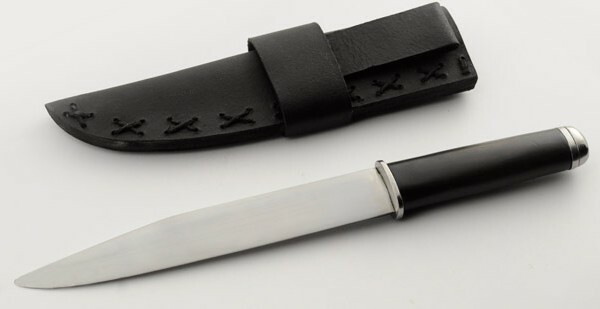 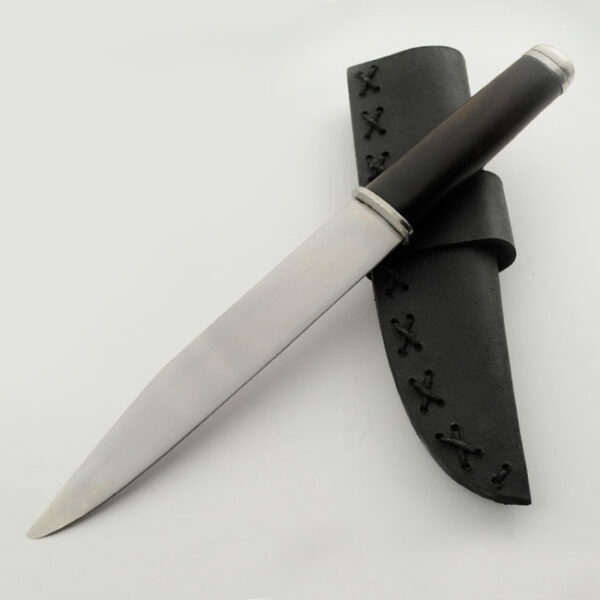 The The Viking Small Knife or Seax usually had a blade from 3″ to 4″, from there the blades went to 9″ and up to your larger Seax or Scramasax knives. 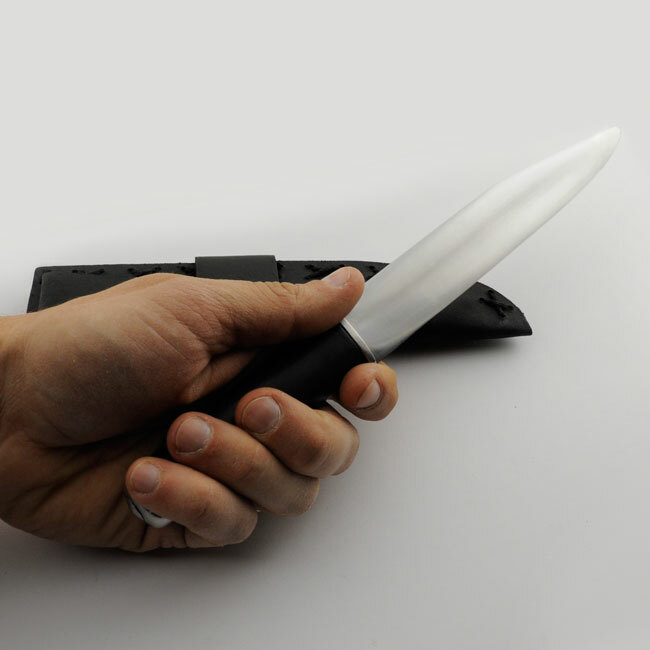 Our Legacy Arms / Generation 2 version features a blade a little over 6″ long with a 3 3/4″ grip. 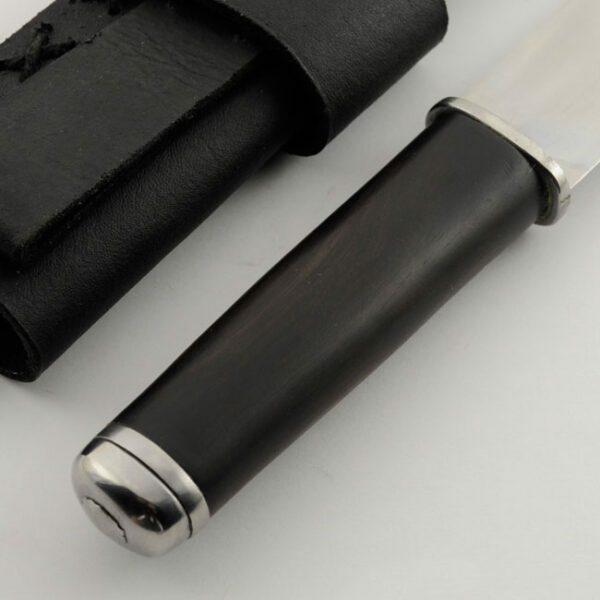 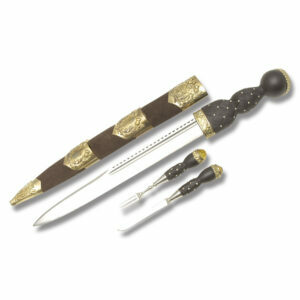 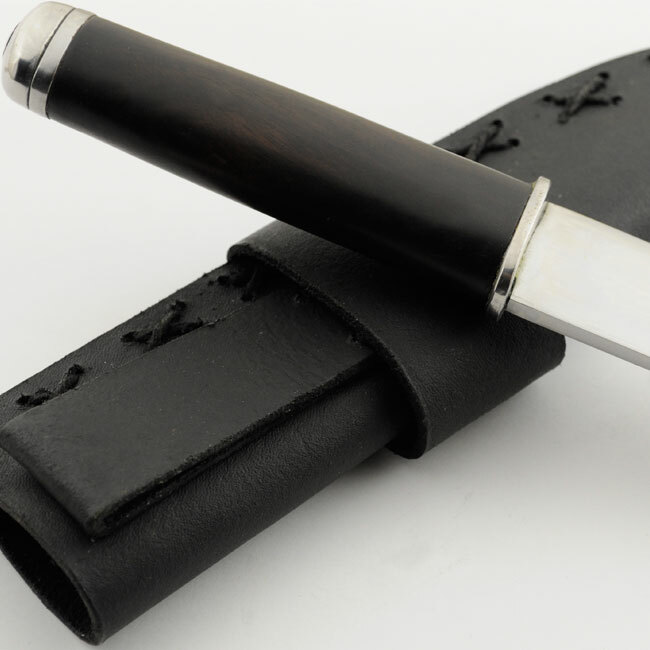 The leather scabbard is double looped to hold the knife horizontal or a loop to hold the knife vertical. 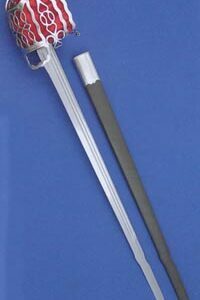 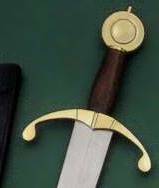 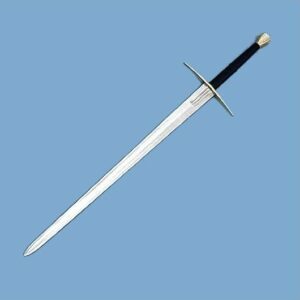 As with all Gen 2/Legacy Arms swords and daggers the Viking Small Seax has a peened pommel.